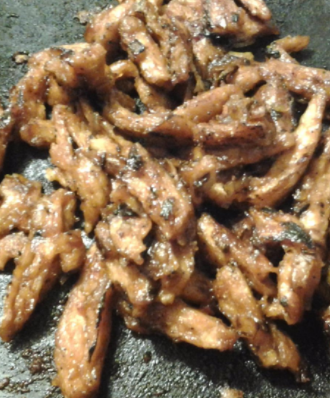 Available on Amazon and completely suitable for the vegan or vegetarian in your life. 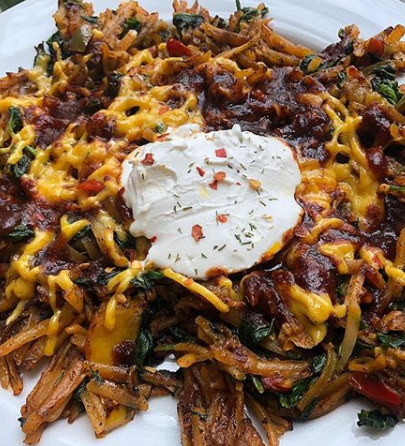 Whether you avoid meat and dairy for religious, ethical, environmental, health, or taste reasons, you'll likely agree that finding good food substitutes is key to your happiness. 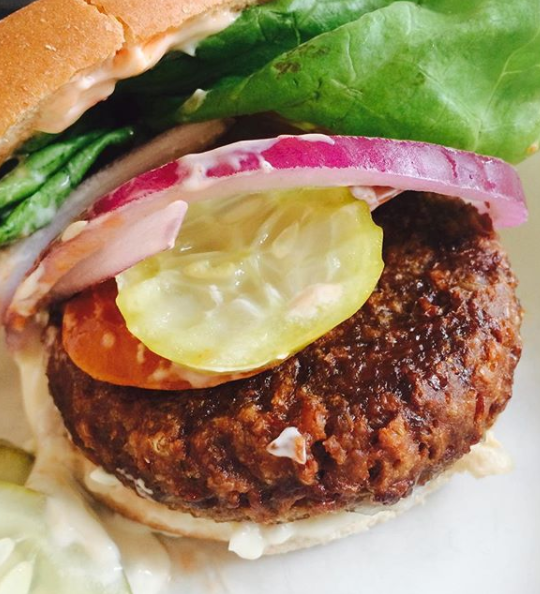 Because even the most dedicated vegan or vegetarian can still crave beef burgers, cheese, chicken, or creamy condiments. And they deserve those cravings to be satisfied without sacrificing their diet choices. 1. 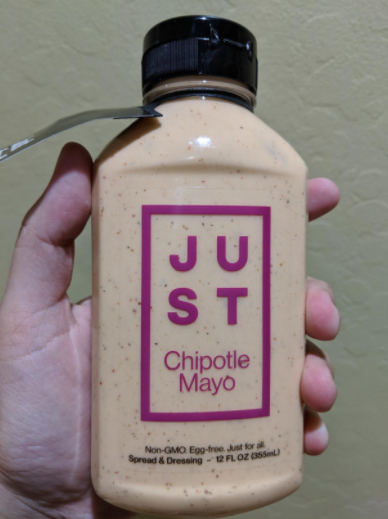 This chipotle mayo that's soy-free, dairy-free, egg-free, AND kosher — but still tastes damn delicious with almost everything. 2. 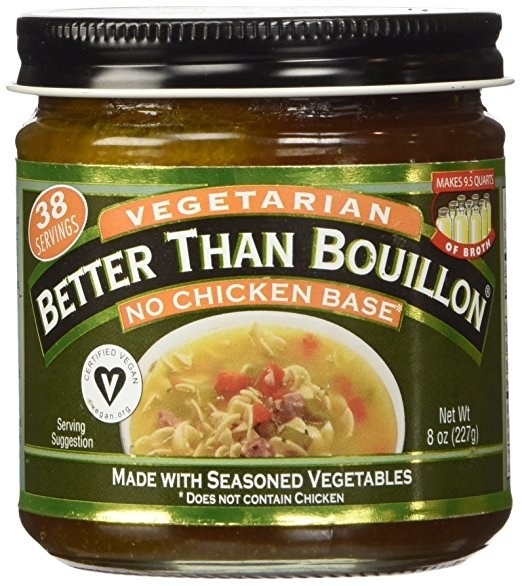 This vegetarian Better Than Bullion base that makes incredible "chicken" stock. 3. 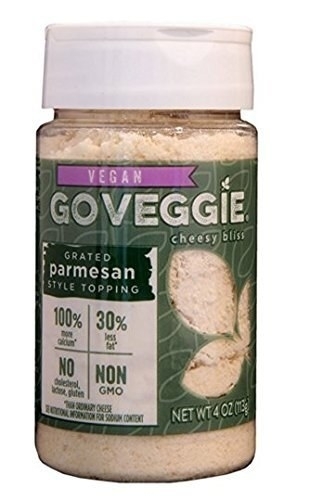 And this highly rated vegan parmesan cheese that you can sprinkle over soups, pasta, and salads. Get it from Amazon Fresh for $3.49. 4. 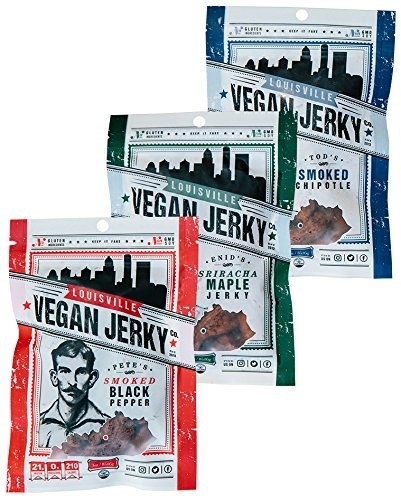 This completely vegan jerky that comes in three flavors: smoked black pepper, sriracha maple, and smoked chipotle. Get a three-flavor sample pack from Amazon for $19.38. 5. 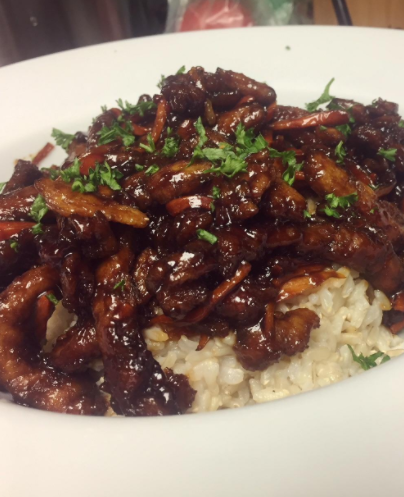 And these vegan soy curls that are versatile as hell, and can be used as a substitute for beef, pork, or chicken in your favorite recipes. Get an eight-ounce bag from Amazon for $7.49. 6. 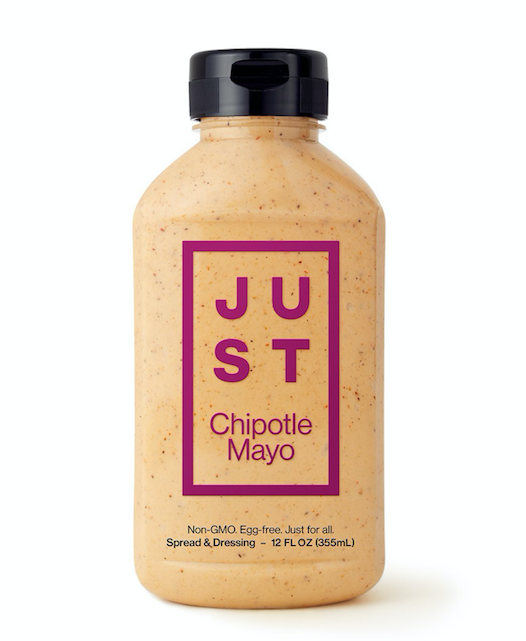 This egg-free mayonnaise substitute that's just as tasty as the real thing. Get it from Amazon Fresh for $7.99. 7. 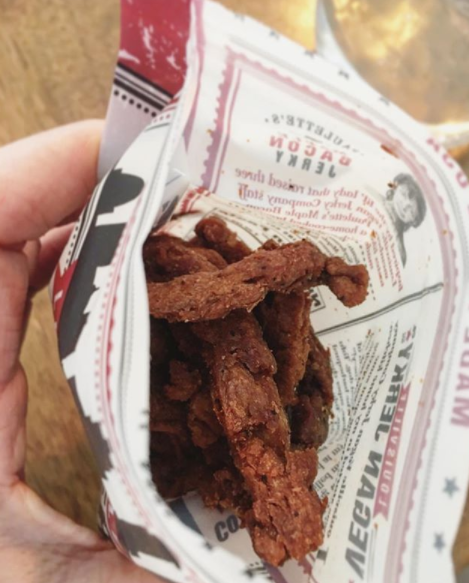 These meat-free crispy tenders that are perfect for salads, wraps, and sandwiches as a yummy replacement for chicken. Get them from Amazon Fresh for $4.69. 8. 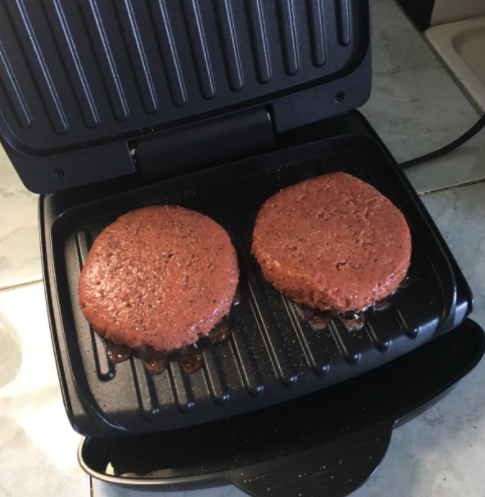 These Beyond Meat patties that have a cult following and are sure to satisfy any burger craving. Get a pack of two patties from Amazon Fresh for $5.99. 9. 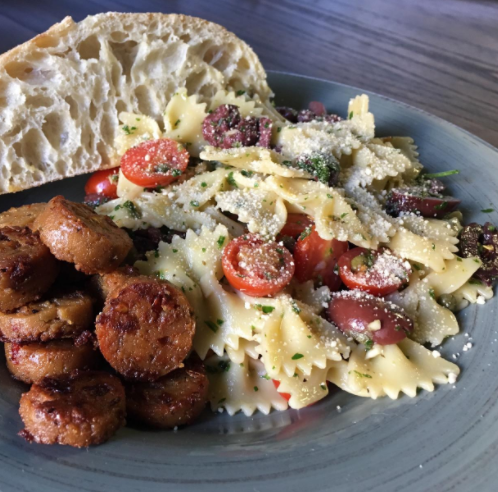 This nutritional yeast that will add a cheesy twist to your favorite vegan pasta, sandwich, or stroganoff. 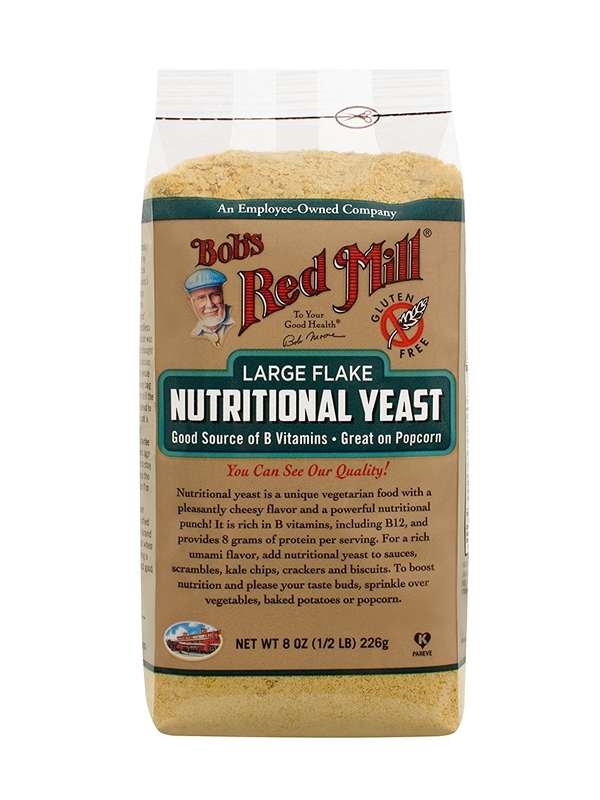 Promising review: "I use a lot of nutritional yeast in my cooking. 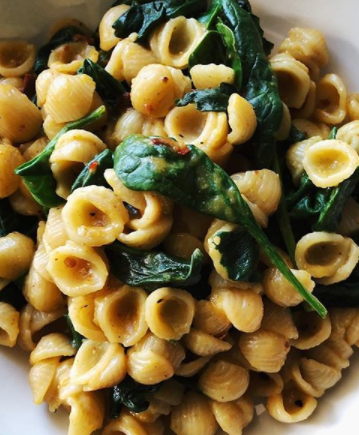 It's great for a cheesy-style sauce for mac 'n' cheese, casseroles, nachos, etc. 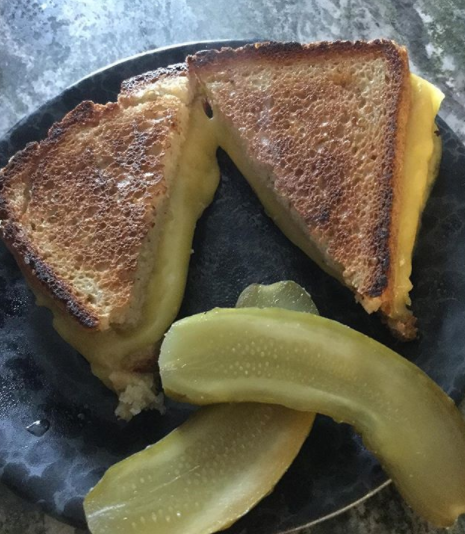 You can even make a spread for grilled cheese sandwiches and quesadillas. I actually add it to gravy and soup to give it a savory background flavor. 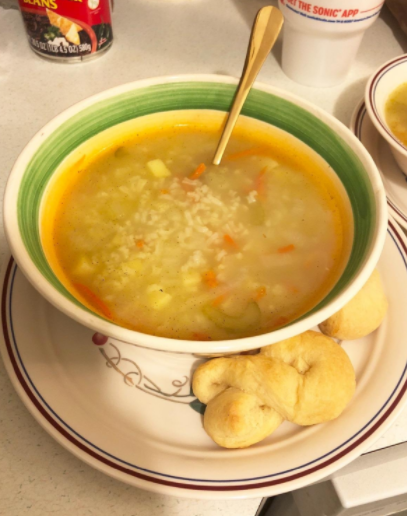 I even make a veggie broth powder with nutritional yeast and other herbs and spices. Another popular use for it is to just sprinkled it on popcorn! It's really so versatile and my whole family loves it. Get an eight-ounce pack from Amazon Fresh for $8.49. 10. 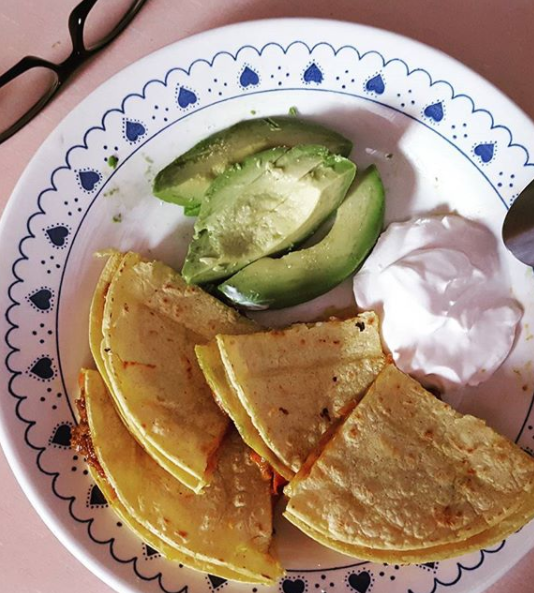 This tofu sour cream that's the perfect dairy-free addition to your go-to Mexican dish. Get it from Amazon Fresh for $3.19. 11. 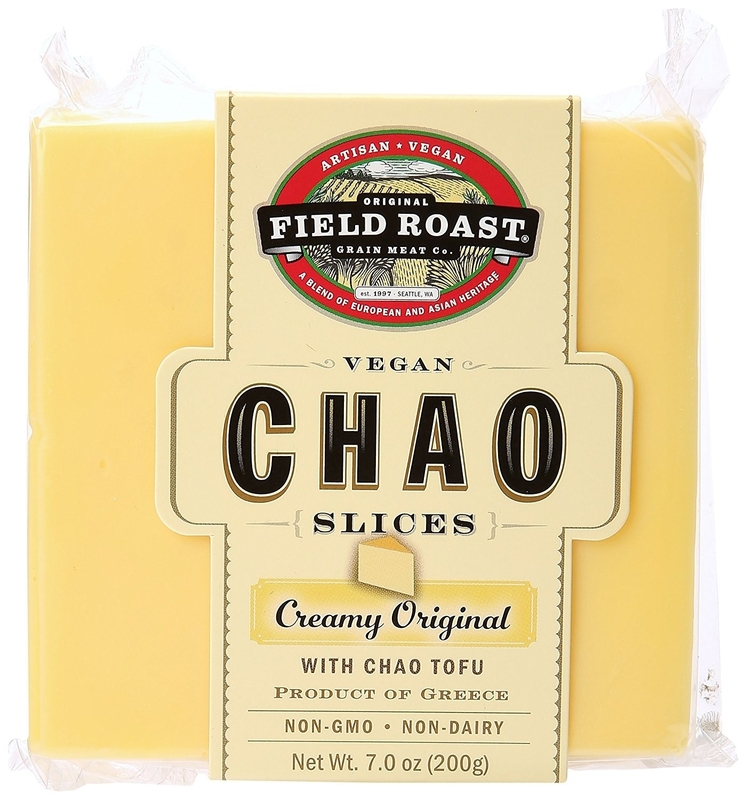 These vegan cheese slices that will make all your grilled sandwich fantasies a reality. Get it from Amazon Fresh for $5.99. Get it from Amazon Fresh for $3.99.